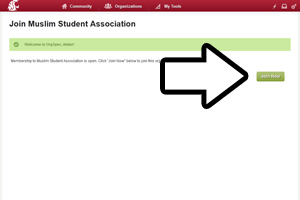 The WSU MSA facebook page will be regularly updated and anyone can join. 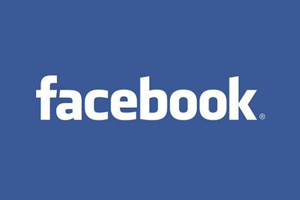 You don't have to be a WSU student to like our facebook page. It's one of our main form of communication so please "like" to receive notifications of our events and announcements. 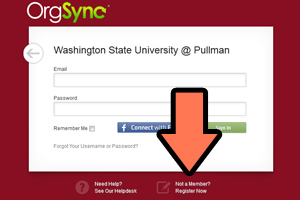 the first step to officially joining WSU MSA is to click HERE, follow the link and select "Washington State University @ Pullman"
Click on "Not a member? Register Now!" then enter basic info. Please select an email that you frequently check. 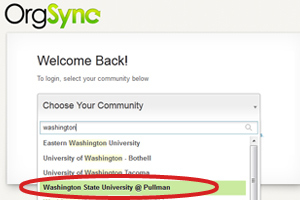 It does NOT have to be a WSU email. Once you have entered the info the browser will take you to a different page. Click on the "Join Now" button!